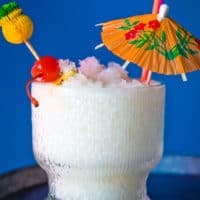 Christmas Island Cocktail: A Holiday Tiki Drink | Good. Food. Stories. It’s just that sometimes when I look at my beloved kitschy white fluffy fake Christmas tree, I want to bust out my ukulele and croon a tune while I drink a damn fruity tiki drink—even if it is December. And so, continuing what is shaping up to be an annual tradition of mixing up a cocktail to match a holiday song—see also Say, What’s in This Drink?—I present this year’s entry: the Christmas Island. 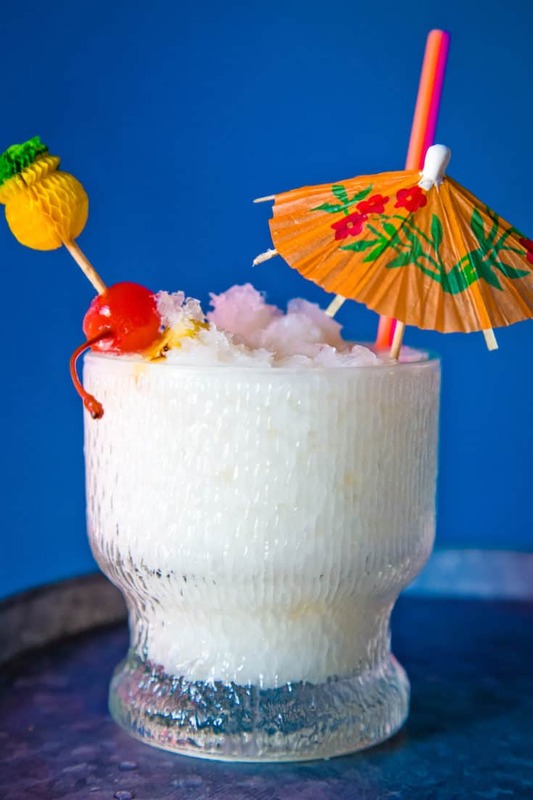 The Christmas Island is the cocktail equivalent of stringing twinkle lights on a palm tree, a classic piña colada that got itself all spiced up for the holidays. 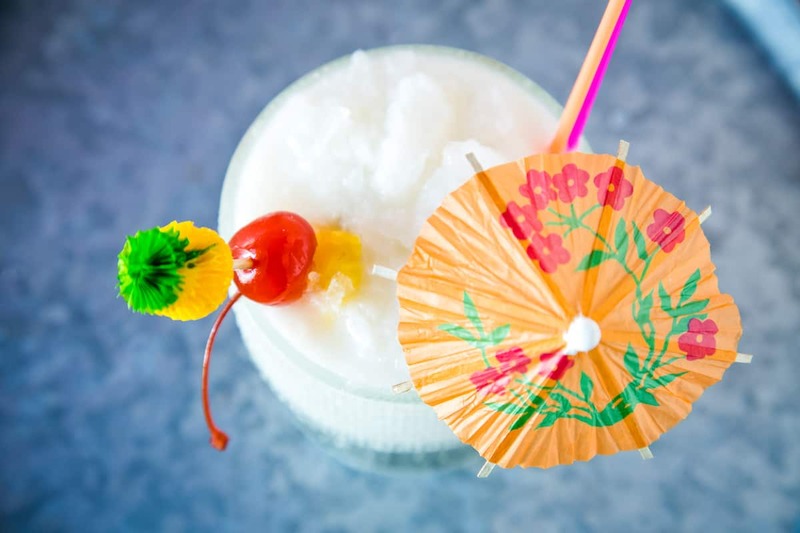 Coconut milk keeps the color of the drink pale and wintry, and crushed ice is key for a snowball effect (my sno cone maker gets a year-round workout around here). The first is allspice dram, a Jamaican liqueur that infuses the warm, peppery flavors of allspice berries with rum. Like Chinese five spice powder, allspice is another one of my favorite substitutions for regular ol’ cinnamon in holiday baking—and drinking! The St. Elizabeth label is the most widely available brand out there, but there are some small-batch producers coming out with their own versions as well. Don’t be freaked out if you see allspice dram referred to as “pimento dram” in cocktail literature—it has nothing to do with the peppers frequently stuffed into olives, but comes from the Spanish word pimenta because of the berry’s resemblance to a peppercorn. The second is falernum, another spiced syrup of Caribbean origin frequently used in tiki cocktails. With notes of ginger, almond, and clove, it’s a more mellow palate than the tingly burn of allspice dram. 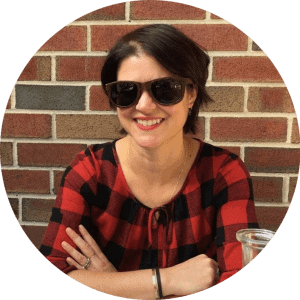 You can certainly make your own if you’ve got the time and inclination, or you can buy a bottle from the widely available BG Reynolds or Fee Bros. brands. Separately, these spirits are each simply lovely; together, they make for an almost impossibly festive mix of spices that are at once perfect for yuletide gatherings and tropical escapes. For a tiki-tastic cocktail, garnish with red maraschino cherries and green lime wedges; for a more wintry effect, stir with a cinnamon stick and grate fresh nutmeg over the top of the cocktail before serving. 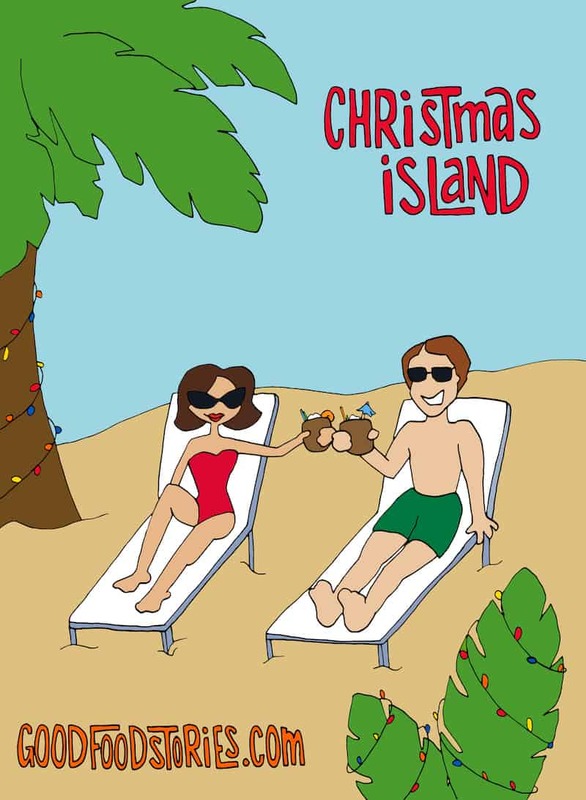 The Christmas Island is a holiday tiki drink similar to a pina colada with allspice and other wintry spices. It's festive and tropical at the same time. Stir the coconut milk, pineapple juice, rum, allspice dram, and falernum together in a Boston shaker or other small cocktail pitcher. Fill two approximately 8-ounce highball or festive tiki glasses with crushed ice. Divide the cocktail equally between the two glasses. Garnish with your choice of fruits, spices, swizzle sticks, tiny umbrellas, and what have you. In my opinion, more is never too much!